Yesterday, I visited Huaca Rajada in Sipán plus three museums, two of which were in nearby, Lambayeque . There was also time for lunch, so it was a full day. 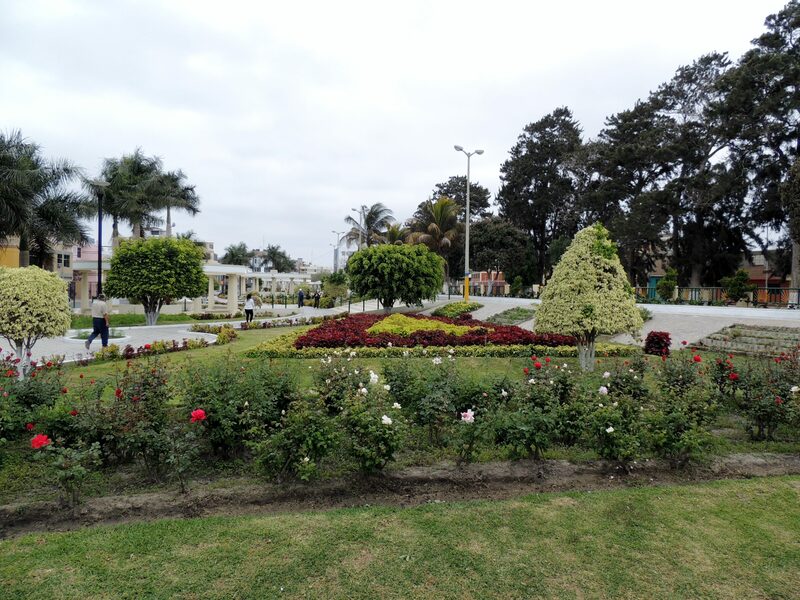 Before going to Sipán, we stopped at El Paseo de Las Musas, a small but tidy, park area which sadly, is not typical of most of Chiclayo. Other park areas are available. A place for a relaxing stroll…. 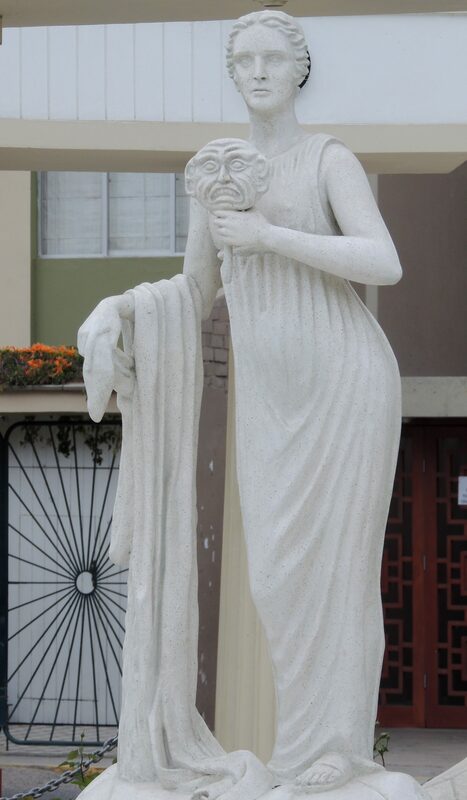 …and be amused by muses. 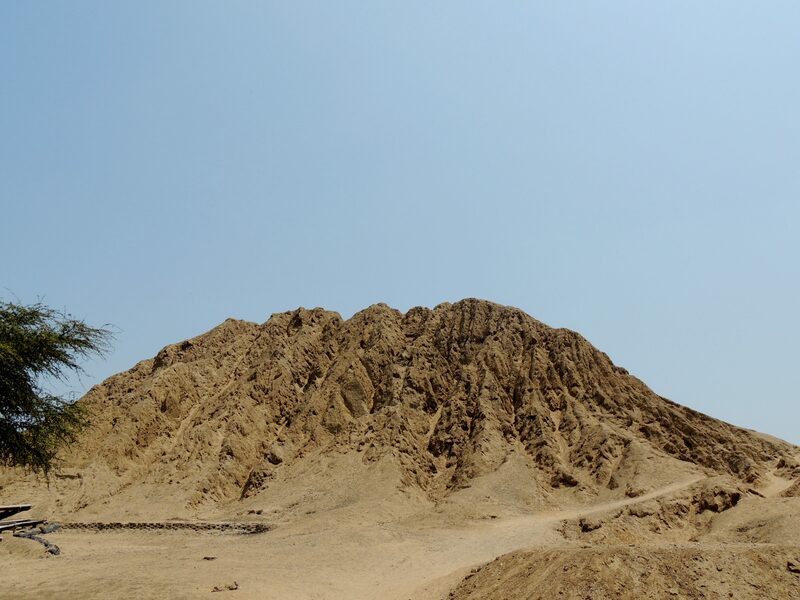 …and Huaca Rajada where the Moche tombes are located. We had lunch at El Rincón del Pato, which was interesting but not as good as I had hoped. Duck with rice is a local speciality and duck is one of my favourite foods. 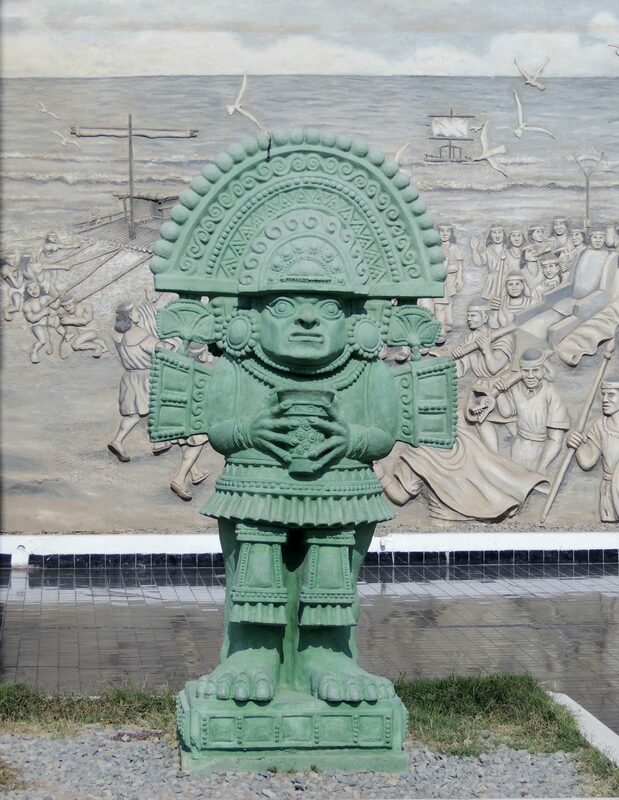 We then moved on to the second museum of the day, the Bruning Museum in Lambayeque, which was mainly about ceramics and tools used by the different civilisations who have inhabited this region. This looks like someone had an idea for a mini submarine, long before the 20th century. There was some gold on display…. 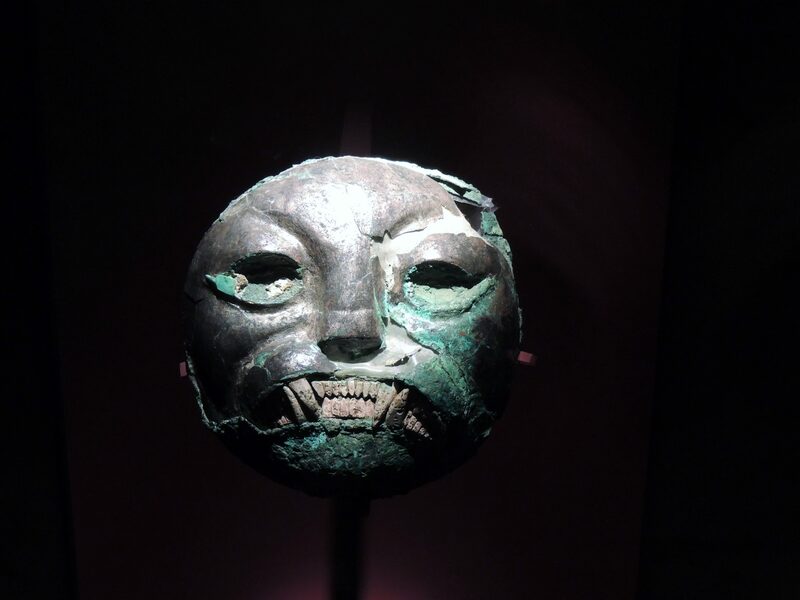 …but most of it was housed in the Royal Tombs Museum in Lambayeque. Unfortunately, cameras, phones and bags are not permitted inside the museum, so this is the only picture. 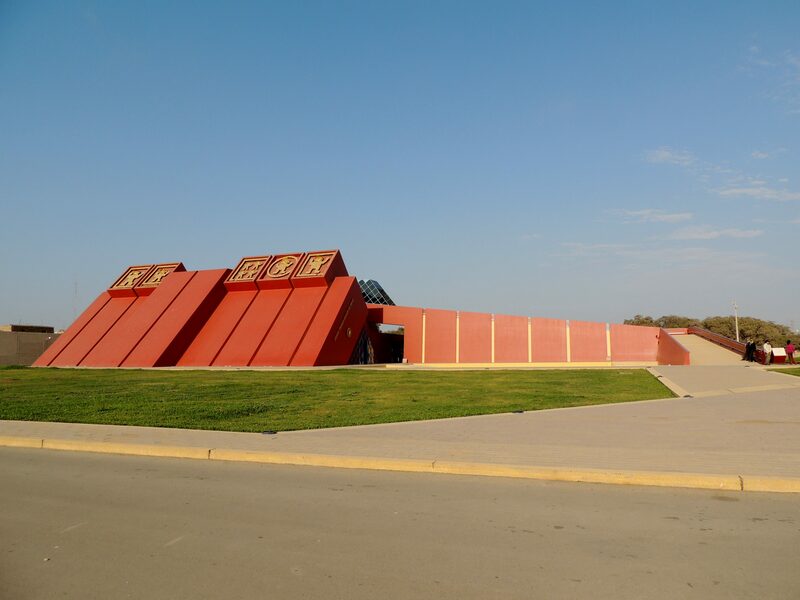 The building design is based on the shape of the huacas. 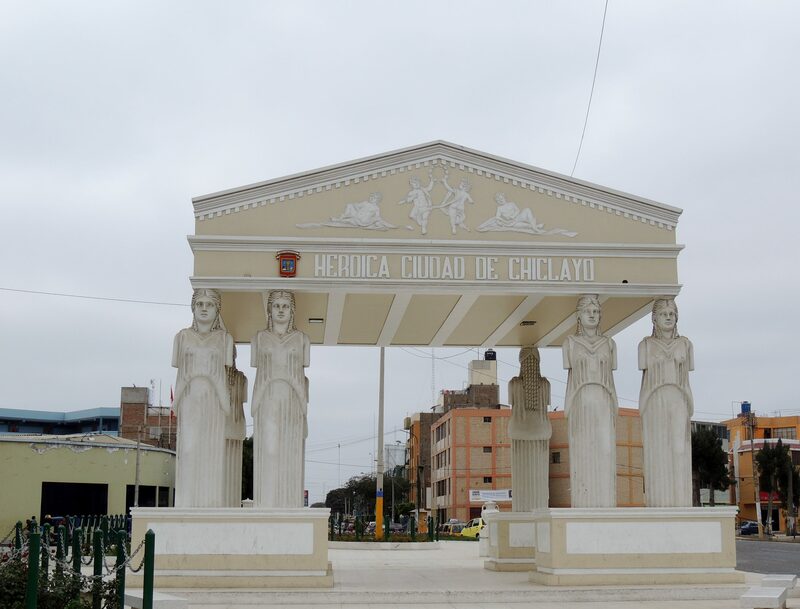 This entry was posted in Recent Activity and tagged Archaeological site, Chiclayo, Lambayeque, Moche, Peru, pre-Incan, Sapa Inca, Sipán, South America, South American Adventure. Bookmark the permalink. 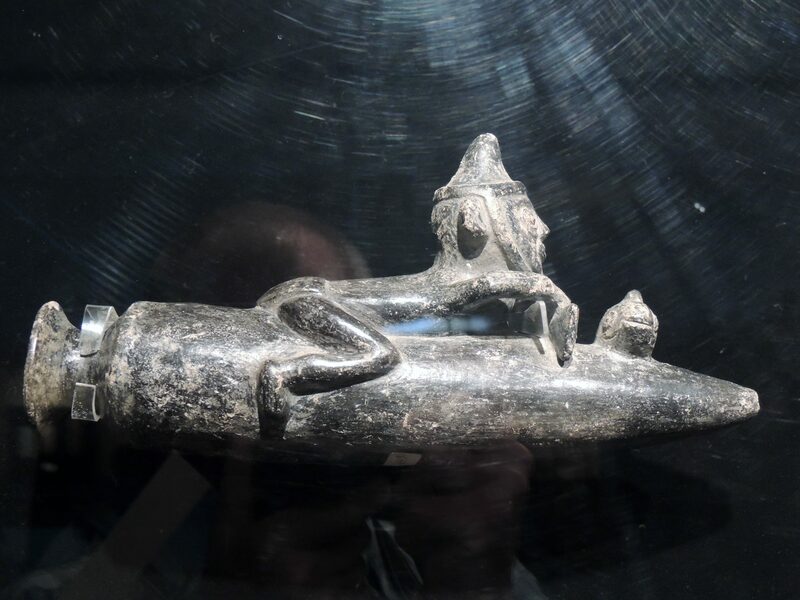 The Sipan museum was surprisingly good i thought when i was last in Chiclayo. 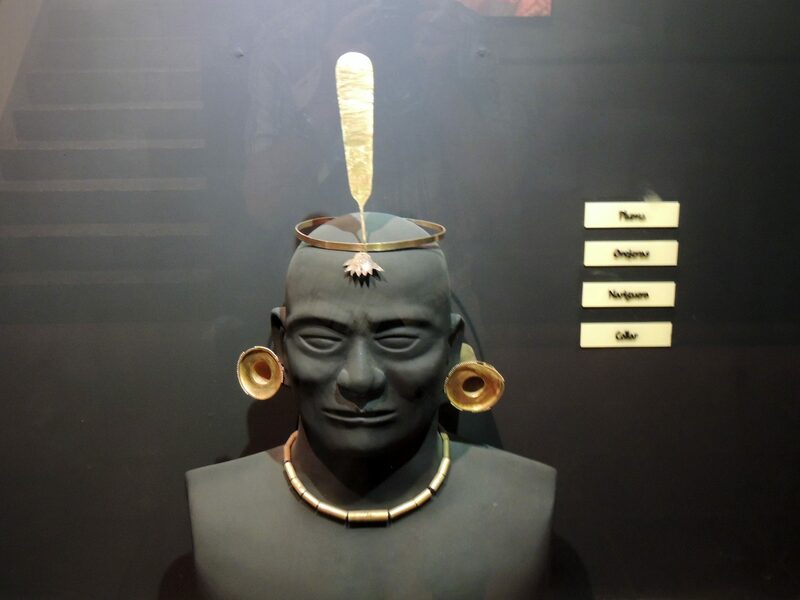 It´s said that there was twice as much gold found in the Sipan tomb than that of Tutankhamuns in Egypt! That’s right Mike and they were lucky that the archaeologists got it and not the grave robbers.